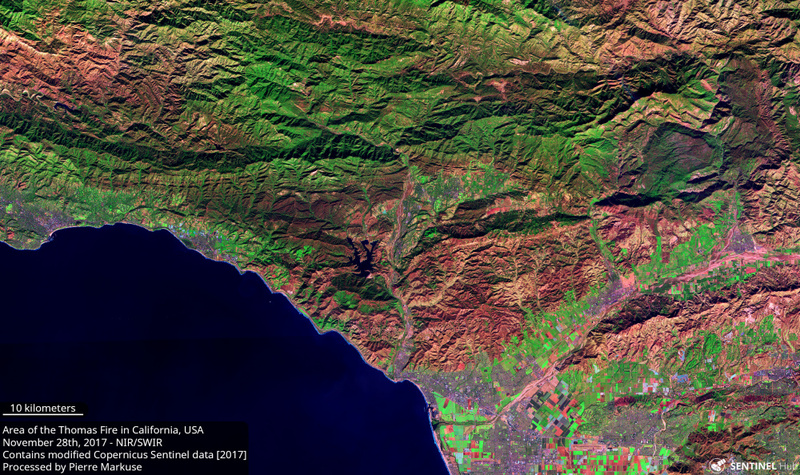 Taking a quick look at the area of the massive Thomas Fire in California, USA, on November 28th, 2017, before it started, and on December 18th, 2017, during the still ongoing wildfire. 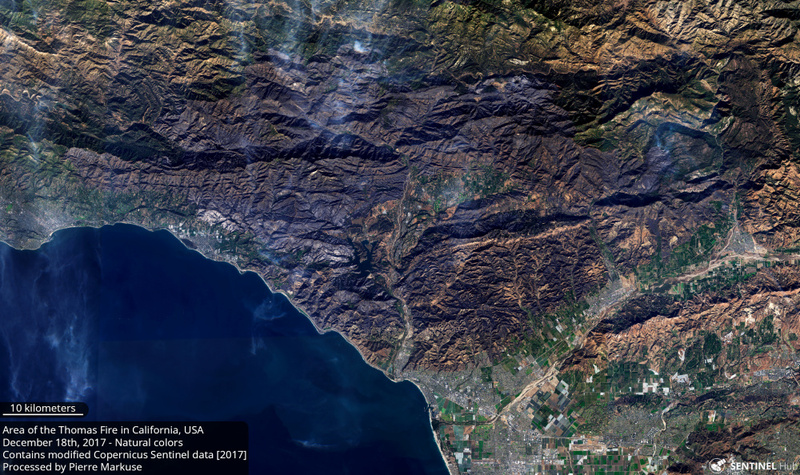 The Thomas Fire started on December 4th, 2017. As of December 19th, 2017, it affected an area of 272,000 acres (about 1,100 km²) and is 55% contained (No idea what that means? Take a look at this video, explaining it). First a natural color comparison, in the December image there is still some smoke visible, also affecting image quality to some degree. 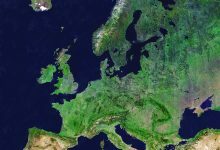 It is, however, quite easy to see the loss of vegetation in the noticeably less green December image. 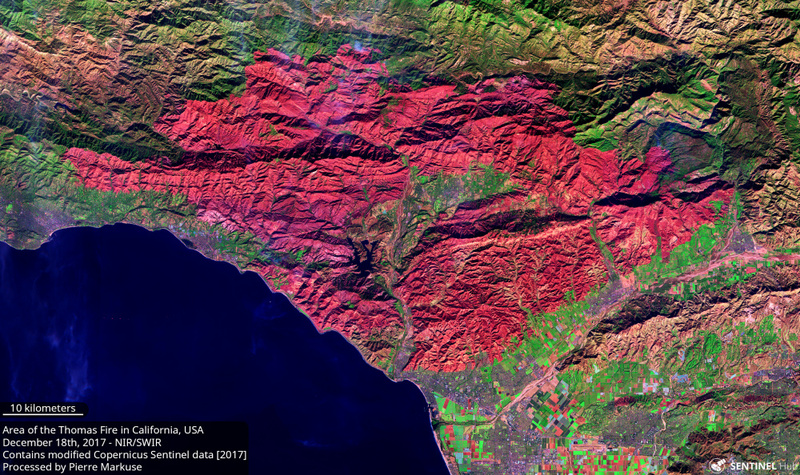 And here a NIR/SWIR comparison, the burn scar pretty obviously standing out in red colors. 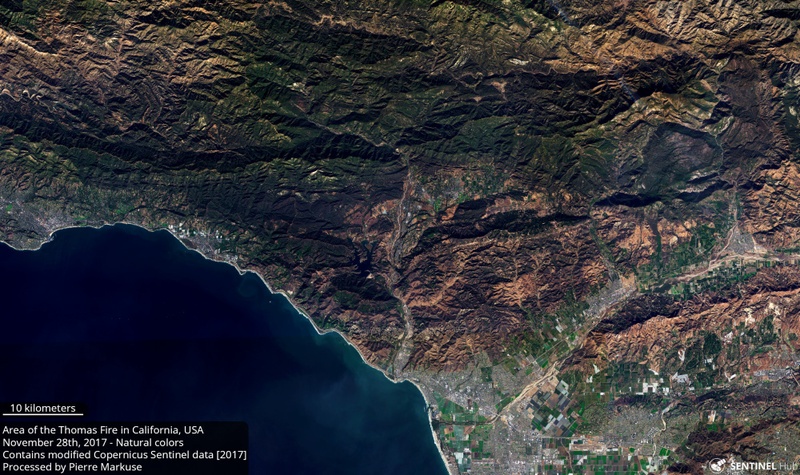 Surrounded by the burn scar – and earlier this month be the wildfire itself – you can see the city of Ojai. The images used for this comparison, as well as a collage with all four of them can be downloaded in bigger size here on Flickr. 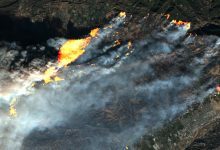 Even the bigger versions, however, are just rendered at 40 meters resolution, for images of the Thomas Fire in Sentinel-2’s 10 meter resolution take a look at the Flickr album linked down below. You can find even more images of the Thomas Fire in better resolution in this album on Flickr. And in case you are interested in wildfires in general, take a look at this album on Flickr. Way to much damage they should sentence this idiot who caused the fire to life without parole.